We were delighted to take part in The Barossa Wedding Fair at The Farm, Barossa Function Centre, and loved exhibiting amongst some of the Barossa's best wedding suppliers! We had a great time exploring new ways to style our Timber Arch and had fun adorning our gold lamp shades with florals. 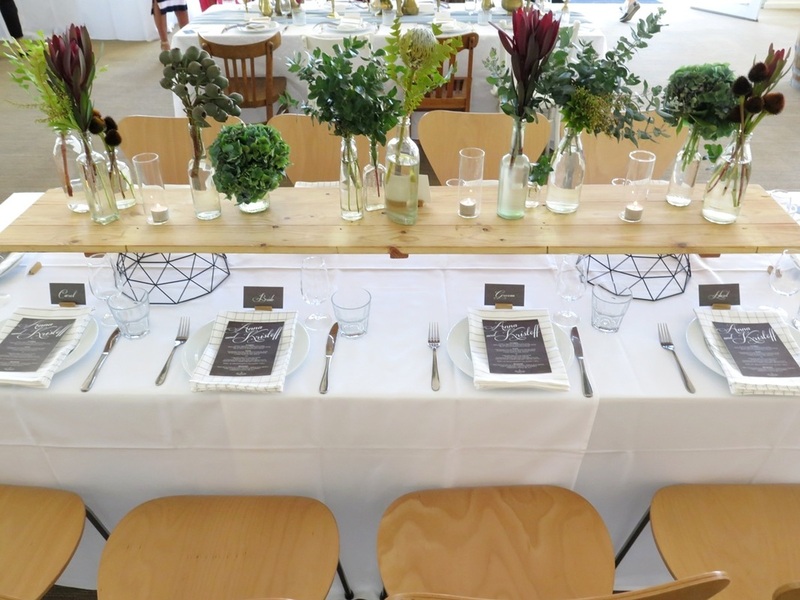 We also got to put together two styled reception tables for a bit of inspiration! We loved working with Viva the Flower Store and Quick Creations stationery to bring these two concepts to life. 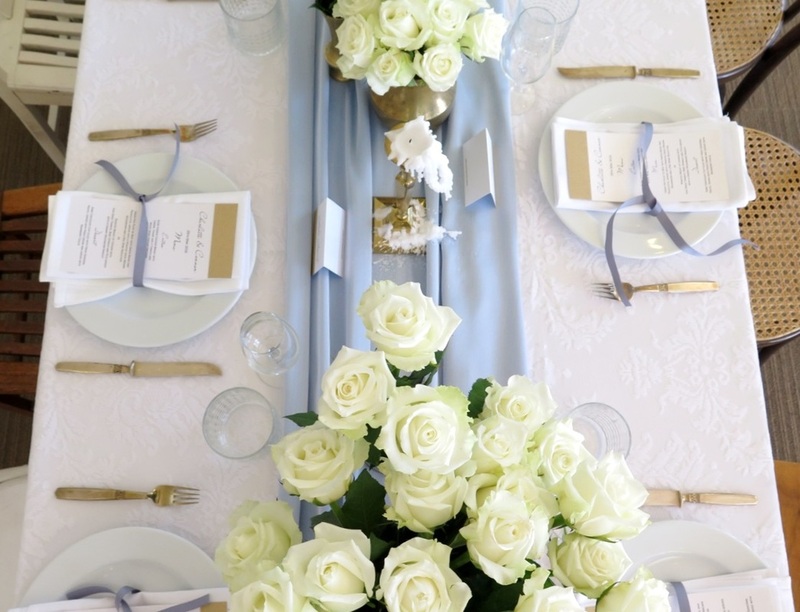 Our 'Blue Romantic Table' featured soft hues, fabrics and mismatched timber chairs. 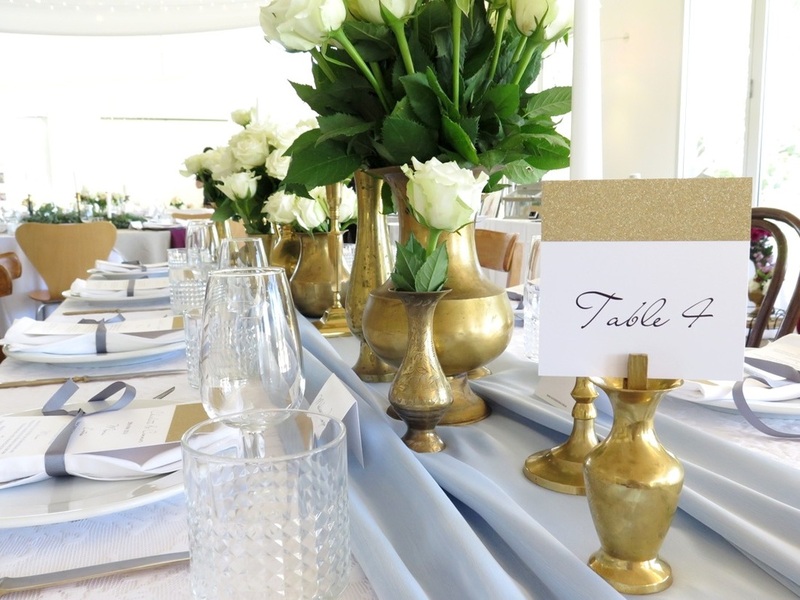 Our brass vases were filled with lush white roses by Viva the Flower Store, and gorgeous gold trimmed stationery by Quick Creations. We also scattered our brass candlesticks with white tapered candles throughout. 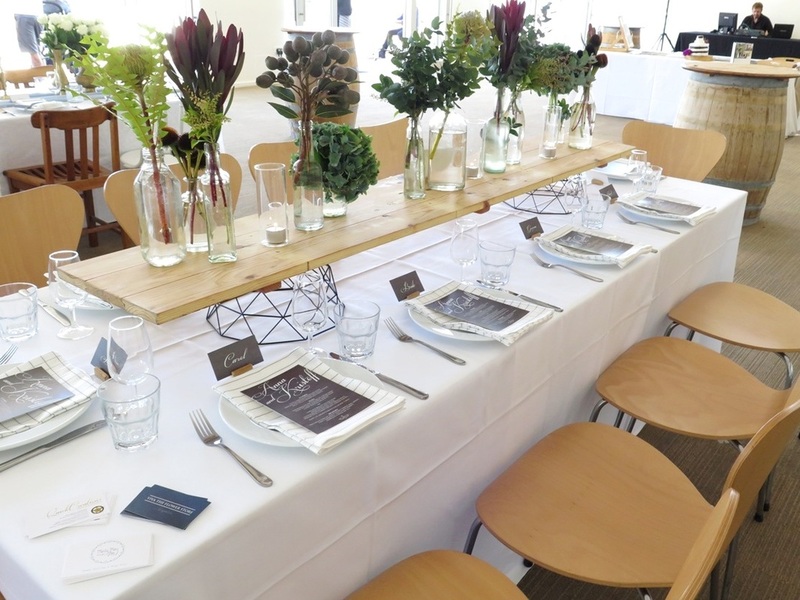 We loved the softness of this table, and how the simple ribbon detailing on the menus and napkins carried this through. On our second table, we explored a modern 'Botanical' theme, with recycled timber, native Australian flora, and bold geometric shapes. We had fun creating this 'new look' for our timber table runners! 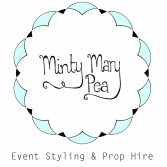 They tied in perfectly with the venue's timber chairs. 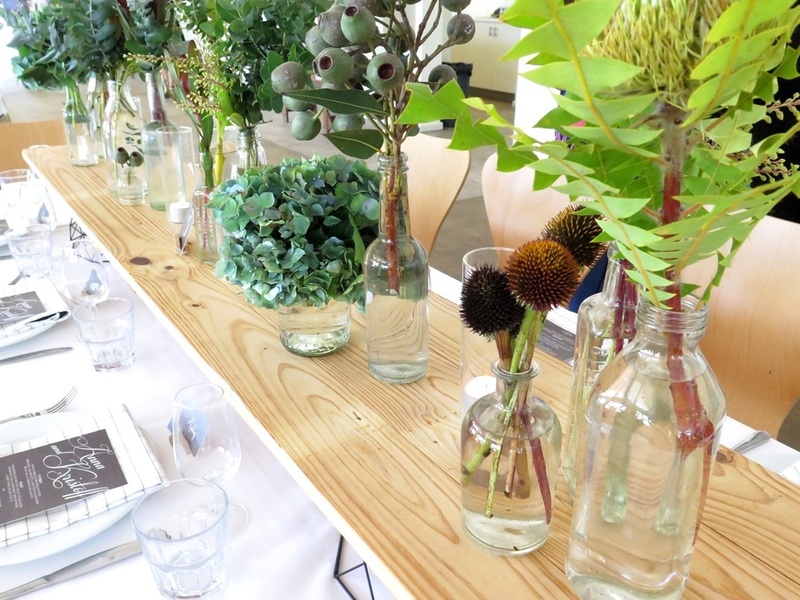 We loved the colours and textures of the Australian flowers, by Viva the Flower Store, which filled our clear vintage glass bottles. The look was completed with simple bold stationery by Quick Creations, whose name cards sat beautifully in our custom timber name card holders.